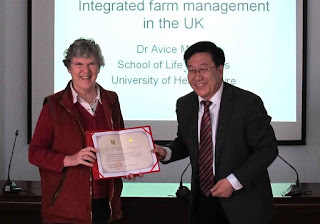 On a recent trip to China, Dr Avice Hall MBE, from the School of Life Sciences, was awarded an honorary professorship by the Inner Mongolia Academy of Agriculture and Animal Husbandry. 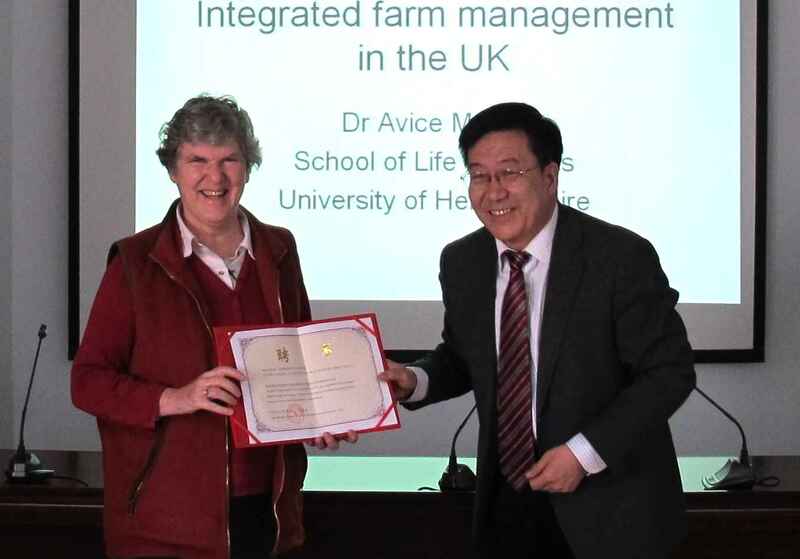 She receives this honour in recognition of her achievements in plant pathology for the benefit of the agricultural and horticultural industry in both the UK and China. During her time at the University, Dr Hall has established an international reputation for her work as a plant pathologist. Her ground-breaking research into strawberry powdery mildew has assisted growers and furthered knowledge of fungal diseases on our most valuable soft fruit crop. Wooh!!!! I am certainly not surprised for Avice Hall's achievement as I had the opportunity to work under her tutelage as an MSc research student. It was indeed an honour to work with her as I could see further because "I was standing o the shoulder of a gaint". Congrats Dr Avice Halls. I will always appreciate your vast research knowledge. Thank you for your lovely comment - and will pass it onto to Avice who will appreciate it I'm sure. Did you attend the 1971 Stansted Summer School? Eat your greens to keep your blood pressure low!